L I V I A: WHAT'S IN MY BATHROOM? LISTERINE WHITENING: PLUS ENAMEL PROTECTION IN CLEAN MINT REVIEW ! WHAT'S IN MY BATHROOM? LISTERINE WHITENING: PLUS ENAMEL PROTECTION IN CLEAN MINT REVIEW ! If there's one household item that ALL should have at least in their bathroom it is, Listerine, Whitening plus Enamel protection in Clean Mint. Did you know that when you floss and brush your teeth, all of the germs are not gone from your mouth? They could be lingering somewhere but don't worry they aren't harmful. 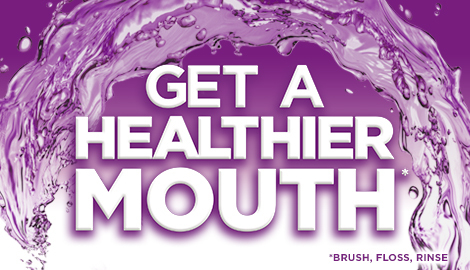 One way to really control this and ensure that your mouth is FULLY clean, is to use a good brand of mouthwash. For greater fresh breath and whiter looking teeth, I have been using this mouthwash morning and night. For about one month of using this mouthwash, I can really see an improved result to my teeth. I am big drinker of tea so this means that my teeth is constantly exposed to staining, yellowing and so forth. My teeth was previously showing some hint of yellow to it and after a month, there was a better result in trying to achieve a closer white look. You'll also notice that when using the mouthwash that you'll experience an intense feeling in your mouth. But don't worry after one week of building the tolerance to the taste, you'll get used to it soon. It doesn't take long to actually rinse your mouth which is why it's essential to look after your teeth. By using Listerine mouthwash you can really look to trust what it can do for you and the many benefits that it can deliver. The product does get quite foamy when rinsing in the mouth. However I am glad that my teeth are looking noticeable whiter and also feels fresh and minty every time I look to rinse my mouth with Listerine. The Listerine Whitening has a 2-1 formula which allows for a dual benefit of achieving whiter and stronger teeth at the same time which then looks to whiten and strengthen the enamel too. I love the clean mint taste to it so this did not pose a problem for me at all. After rinsing, my teeth felt super clean and of course, smelt amazing! Why use mouthwash in the first place? It looks to kill germs that's left after flossing and brushing. Keeps your breath smelling super fresh and minty. Keeps teeth looking white and strong. You won't instantly get the white looking results which is why you really need to read the back of the bottle where it says that you need at least 6 weeks for a full whitening to occur. Kills germs after flossing and brushing your teeth. Gums are maintained at a healthy level. Hygienic if used on a daily basis. Teeth is whitened over a 6 week period. Use after you floss and brush your teeth to really kill ALL of the germs in your mouth. You can find these at your local supermarkets such as Woolworths, Coles, Priceline. Let me know on the comment box below or to the right if you have any questions and I'll get back to you as soon as I can. Thank you LISTERNINE, JOHNSON AND JOHNSON for supporting me for this review. My reviews are based on my personal and true experiences. I only recommend products that I truly support.